The high pressure transducer PPT77 is compact in size and manufactured for a higher operating temperature range to solve the more challenging applications like process control, HVAC, and Automotive applications. 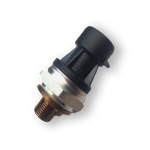 This CVD (Chemical Vapor Deposition) pressure transducer was designed for applications that require a small space for the sensor in a high-vibration environment. The media is only exposed to 17-4H stainless steel, which means it can handle some of the harshest media. The stainless steel design and high temperature analog component selection allows the sensor to be used in high temperature applications. The PPT77 series utilizes a CVD resistive element on the passive backside of the SS housing which has superior long term stability and accuracy (.25% Linearity). 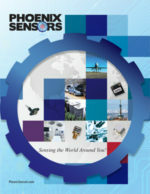 The sensor has been tested up to 5 million cycles without failure, while maintaining accuracy.